These high quality trophy cups feature our Windsor design body and base but include handchased acanthus leaf pattern on the lower body. 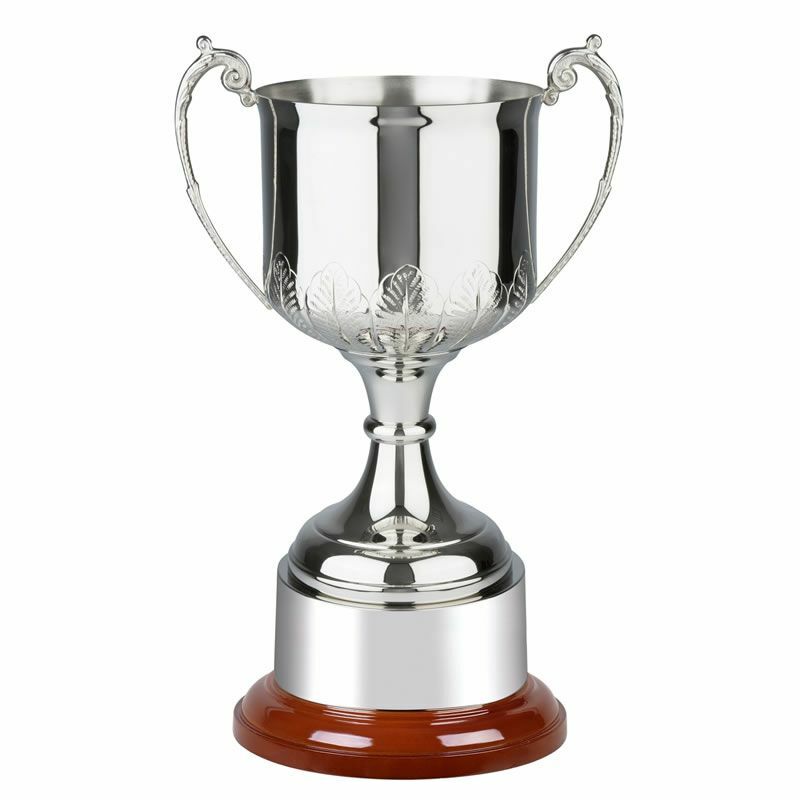 The trophy itself is handmade in Britain with a non-tarnish nickel plated finish and is mounted on a circular rosewood base complete with plinthband. Available in three sizes, these trophies are offered with engraving options for both the body and/or plinthband.